If you like mens Italian style blazer for the cut and image that they portray, you'll love what Tazio tuxedo jackets are all about. 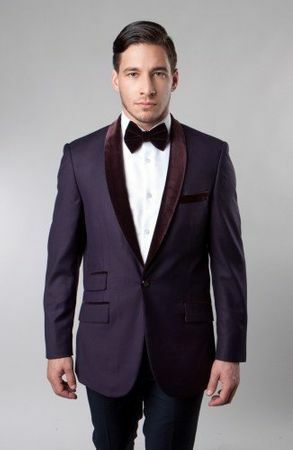 This plum color dinner blazer has the added style bonus of contrasting velvet lapel with trim and designed in Italy. Modern Fit.